It is a Debian 9 container running on a Debian 9 host. Every now and then the container would grind to a halt. It is usually a slow task like apticron or munin. My last test was an idle container on an idle server, and the same thin happened again. 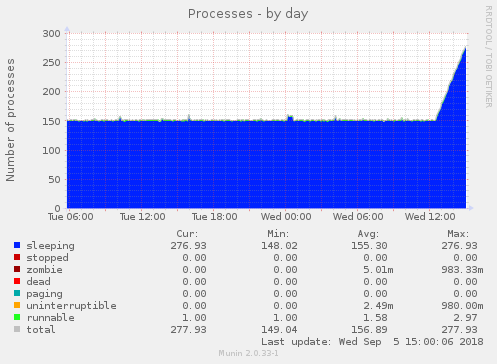 Over 300 Cron processes. The host copes with all these tasks and more, it is just inside a container that these problems start. SSH to container worked. Reboot container, ping container until responds. SSH to container still works and now SSH to host is working fine. He. This is driving me bonkers. Browse other questions tagged lxc or ask your own question. How to specify hostname for the running container? Will Linux/Ubuntu running in an LXC container understand cgroup memory limits?